Nevada Rock Art, the spectacular book published by Peter Goin, under the auspices of the Black Rock Institute Press, includes a chapter by BLM Archeologist and rock art specialist, Mark Boatwright, who is featured in the 06 January 2011 issue of the New York Times. 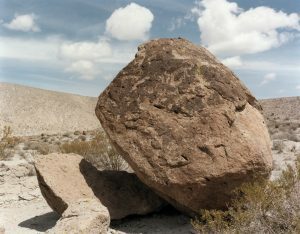 Mark is interviewed there about the abject vandalism of rock art features in the Red Rock Canyon area, near Las Vegas, which falls under BLM jurisdiction. His chapter in NRA looks at similar themes: vandals modifying and ultimately destroying a long legacy of inscriptions on the land.